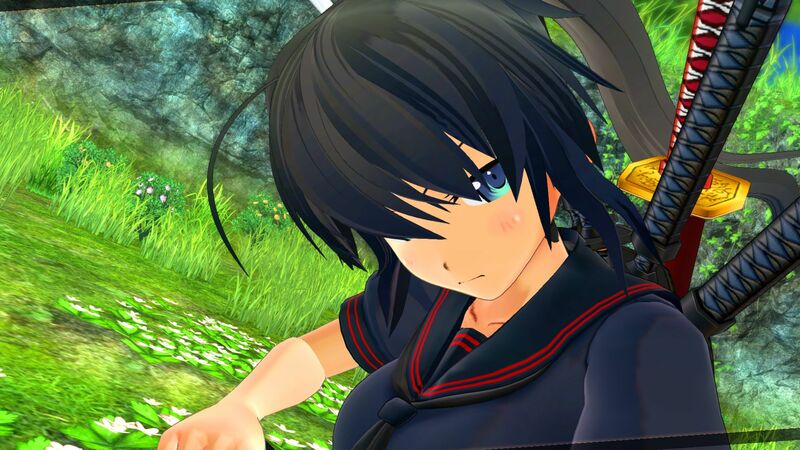 Senran Kagura follows the lives of shinobi girls as they go through their training, with Hanzō Academy & Hebijo Academy being the focus of the original story. The good shinobi Hanzō girls work to further national interests. The evil shinobi Hibejo girls for the highest bidder. But which path is right for a Master Shinobi? 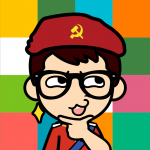 Its something you’ll have to decide for yourself as you play through the game. The writing for the original game was a surprise at the time, offering plenty of humorous moments alongside some serious aspects with regards to the girls backstories. At first the story seems humor heavy, but as it progresses it deepens and the true meaning comes to the fore – one of personal growth. There’s plenty of story to get through too, as it is offered from both perspectives of Hanzō Academy & Hebijo Academy, with some additional character stories included for later schools added to the series. As you progress through the game there are plenty of unlocks to get, be it CG’s or costumes etc, which can be purchased from the in-game store. The dressing room would be where you’ll head outside of stages mostly, with you able to customise the appearance of your favourite girls within the game. With the original release not offering multiplayer on 3DS, that is also true of the remake as none of the multiplayer systems from others in the series have been ported over. The graphics department is where you’ll find the biggest improvement for this remake, given the Nintendo 3DS roots of the original release. 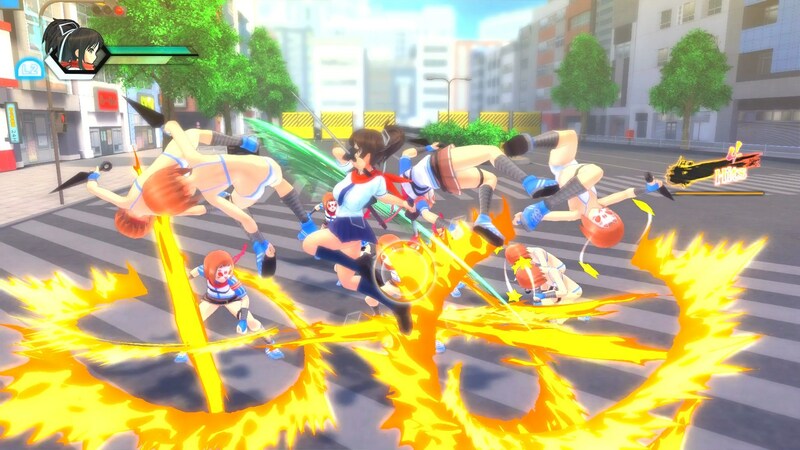 Being rebuilt in the Estival Versus engine means there’s improvements across the board over the 3DS game, with performance being rock solid when played on Ps4 Pro. The use of stages from the original release is a nice touch and each has a boost to texture detail, lighting etc that fans will appreciate from the new perspective, but unfortunately there’s also some woes with the stages. This mainly comes down to the camera. These stages are compact, with the tightest ones suffering from the odd bout of getting lost as there’s not enough space for the camera to move freely at times. Given the fixed camera side scrolling nature of the game on 3DS, this was a little expected with the switch, but luckily the silver lining is that it only really happens on the smallest of stages such as the school hallway – the camera works just as well as Estival Versus otherwise. Most of the sound design from the original has made its way over too, the musical style is instantly recognisable to fans, with voice acting used throughout that is of the usual high quality of the series. Another improvement over the handheld game comes with the inclusion of surround sound, with good use of it made when in the middle of a brawl and damage is dished in all directions. Overall its a great improvement over the original 3DS presentation, the odd camera issue aside, but as with Peach Beach Splash I’m left wondering what in the game is Ps4 Pro Enhanced given it carries the tag. 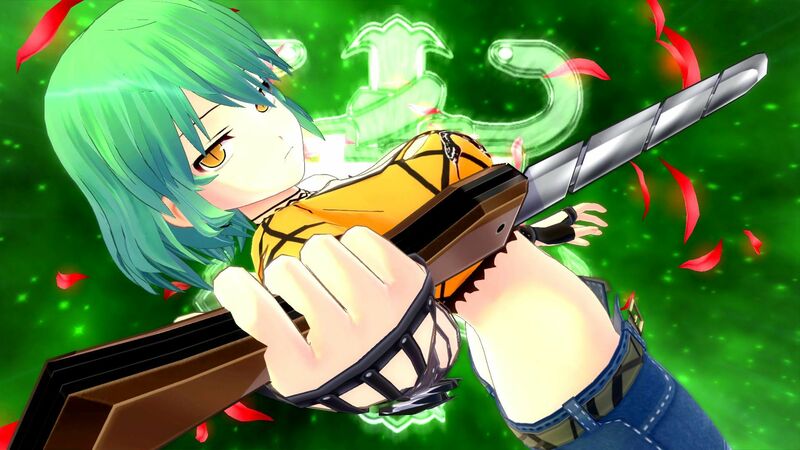 So you’ve played Estival Versus before? Then you’ll know exactly how this game is going to play out, with the side scrolling gameplay gone in favour of the 3rd person hack & slash that the series is now known for. If you haven’t then this release follows the typical mold for the genre, you fight your way through the stages with your overall performance graded at the end to the tune of XP & coins rewarded for how well you’ve done. The remake keeps the Yin & Yang system from the original release, which allows the characters to learn new techniques depending on whether attack or defense was preferred during the stages. With the stages still based on the 3DS original, they are smaller which allows for more focused combat, the trade off being smaller skirmishes overall compared to Estival Versus. Personally though the game is a little disappointing for me due to the switch. The gameplay is as slick as always, even with the odd hiccup as noted before, but I fondly recall Burst as being a great side scroller for the 3DS. 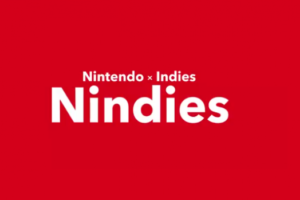 The series was always likely to switch from this system once it left the 3DS for more powerful hardware, but it does feel like a bit of a missed opportunity to not offer how the series started instead of just delivering the story. This is a remake after all, not a remaster, so likely wasn’t possible given the new engine used. 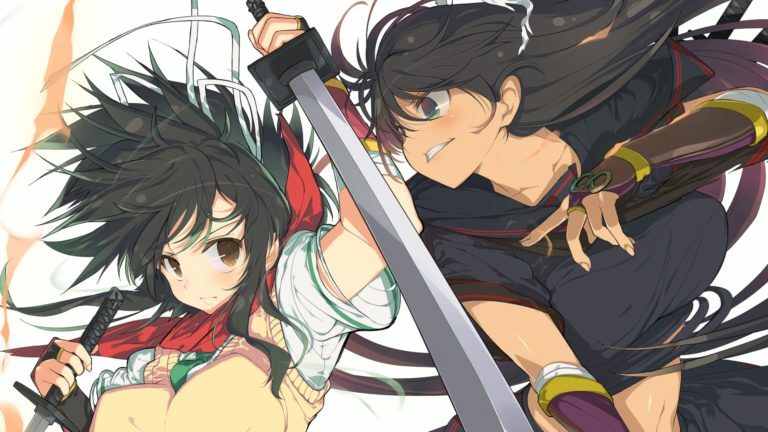 Senran Kagura Burst Renewal takes the original 3DS story and revamps it into a new game using the latest of what the series has to offer. Whilst the side scrolling gameplay is gone, replaced with something akin to Estival Versus, almost everything else is brought over from the handheld game that started the series. 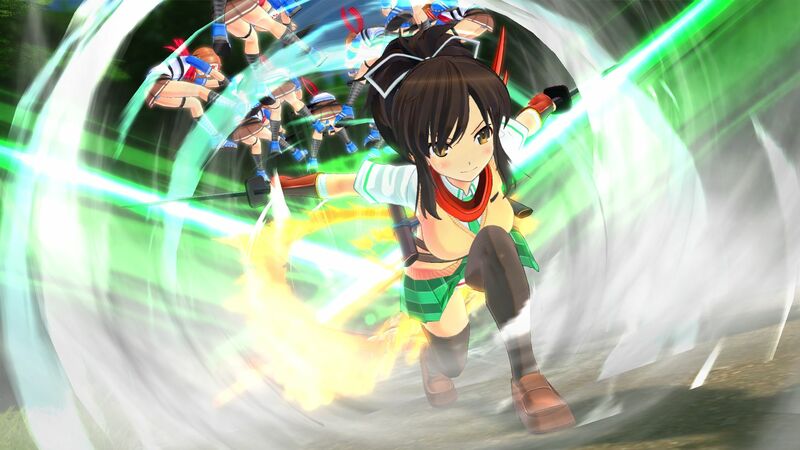 It hasn’t been a perfect transition, but the slick gameplay & colourful visuals Senran Kagura is known for are here in good stead. 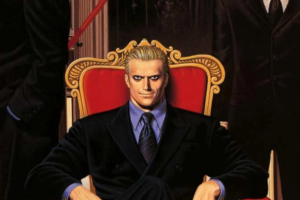 A great place to start for newcomers and those that have dipped their toes in before, with series veterans best mulling over if they need the remake or not.